So you finally quit smoking. You went through that nasty period of coughing up tar and feeling sick. You weathered through the headaches, the increased appetite the irregularity of your digestive system. You're not feeling anxious anymore and you've finally realized that you don't need a cigarette after that third drink. Coffee is just fine on its own. Windowsills are for people-watching, not smoking. Exercise works just fine as a stress reliever. Your clothes smell clean again. Your nails are no longer yellow. You're not out of breath on the second flight of stairs. You're free from the chains of nicotine. But then you messed up. 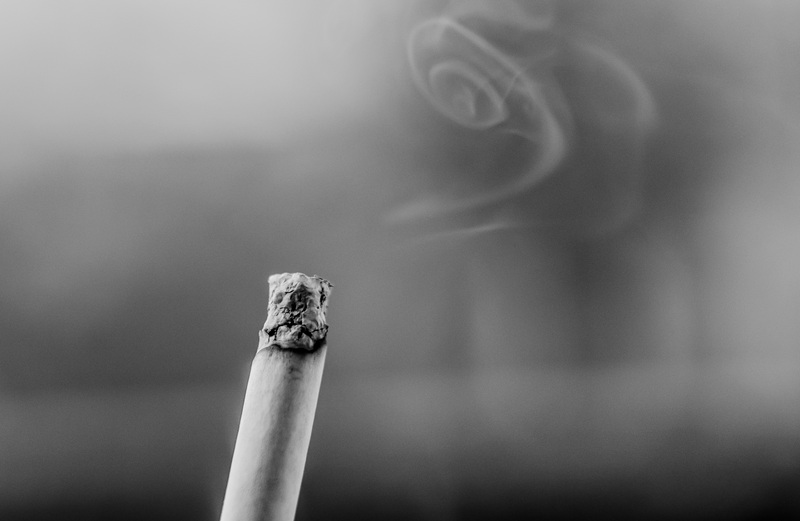 It happens —18 percent of Americans smoke cigarettes, and of that number, 70 percent would like to quit. But only seven percent do. Those gaping statistics mean you're not alone. So don't be discouraged. But do stay educated. It's good to know the ways in which cigarettes affect your body, the more in-tune you are with your body, the more respect you'll have for it. Right away your pulse and blood pressure increases. The mix of the effects of the nicotine and your underlying guilt and shame will put an immediate strain on your heart. Your pulse could quicken 10 to 25 beats per minute. That's a lot. The smoke will re-irritate your respiratory system. You'll feel that familiar burn, once satisfying, now painful. Your airway will become inflamed causing tightness of the chest and coughing. Later leading to an increase in phlegm production. The second you pull in that first drag, you'll probably feel like you have to run to the bathroom. Nicotine triggers peristalsis, which is a contraction of the muscle in your digestive system that carries out waste. It will be particularly sensitive after losing its tolerance to nicotine. Nicotine only takes a few seconds to reach the brain. And you can totally feel it tingling between your ears. Once it gets there it immediately triggers feelings of pleasure. But because you've quit before and have now relapsed, you'll probably feel a surge of disappointment and anxiety. But don't be too hard on yourself. Just know that if you've quit before, you can quit again. And help is there for you when you need it.